On Jerusalem Day, a reminder: Israel’s capital is neither eternal, undivided nor holy. 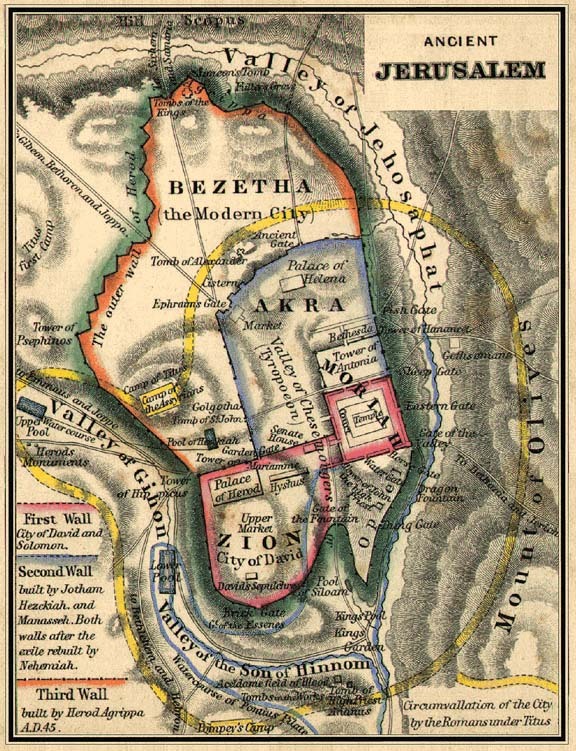 The geographic location to which Jewish hearts have turned for millennia is small, corresponding roughly to today’s Old City; the holy part – the area on which the Israelites were commanded to establish a resting place for the Divine Presence – is more modest still, consisting of the Temple Mount. When we stand before the Western Wall, or orient ourselves toward it in worship, we’re weaving our prayers and longings with those of all Jews, reaching across miles and years and touching the core of that which holds us in community. To read the rest of this, please go to Haaretz. Rebranding reality for Jerusalem Day. Today is Jerusalem Day in Israel. The central narrative underpinning what is at best a quasi-holiday (in my experience, few Israelis outside of Orthodox Jerusalem pay it any mind) is that Jerusalem was “re-united” in the 1967 Six Day War, and thus the city now stands as Israel’s “eternal, undivided capital.” In order for that to be true, though, we must write Palestinians out of Jerusalem’s history all together—an effort that Jerusalem Mayor Nir Barkat appears more than eager to make. It was in Jerusalem’s DNA to be a united city, under sole Jewish rule, he said. “By definition, that DNA cannot be divided.” Palestinian demands for some degree of sovereignty in the city, largely endorsed by the international community as integral to an Israeli-Palestinian accommodation, were unacceptable and unworkable, he said. First of all, not to get all sciencey on a politics blog, but just for the record, DNA is divided literally all the time (it happens in the mitosis phase of the cell cycle). But surely more to the point: Jerusalem is not only essentially divided in its lived reality—the city’s current manifestation bears almost no resemblance to historically Jewish Jerusalem. If Mayor Barkat wants to learn more about Jerusalem’s actual history (as opposed to the fever dream to which he and the national government subscribe), he could do no better than to read Simon Sebag Montefiore’s masterful Jerusalem: A Biography (and yes, that’s “Montefiore.” The author is a descendent of Moses Montefiore, whose largess was responsible for so much of Jewish Jerusalem’s modern fortunes—not least, that beautiful windmill). We can only posit an exclusively Jewish “DNA” in Jerusalem if we erase the past. If we ignore the millions of Palestinian Arabs who have lived in the city over the decades and centuries, if we close our eyes to their mosques, churches, schools, hospitals, and homes, if we refuse to listen to the modern-day people and leadership when they say—as they have said, throughout the entire history of this conflict—that Jerusalem is their national capital, and that only by sharing it is peace even conceivable. We have to erase history and posit a Palestinian people that is, somehow, essentially different from other people. Essentially different—and this is perhaps the most important point—from us. These efforts were rejected, of course, and rightfully so. A people that has been thrown off its land and pined and prayed for return across the generations cannot be sold a knock-off, wannabe home. The Jews of yesteryear knew who they were, and they knew where they belonged. Clumsy re-branding was not going to cut the mustard. Only by presuming that the Palestinians are somehow different from us—less devoted, less honest, less human—can we seriously suggest that they have no claim to our shared holy city, and that they should probably just give an existing city a new name. But that’s the lie on which the entire premise of Jerusalem Day rests, so it’s no surprise that Jerusalem’s mayor is sticking with it. Maybe if we’re really lucky, Mr. Mayor, Jerusalem’s Palestinians will move to Uganda. Yesterday, I was all wrapped up with the fact that today is Jerusalem Day, celebrating the undivided and eternal nature of Israel’s capital — and yet Jerusalem kind of couldn’t be more divided if it took a cleaver to itself. 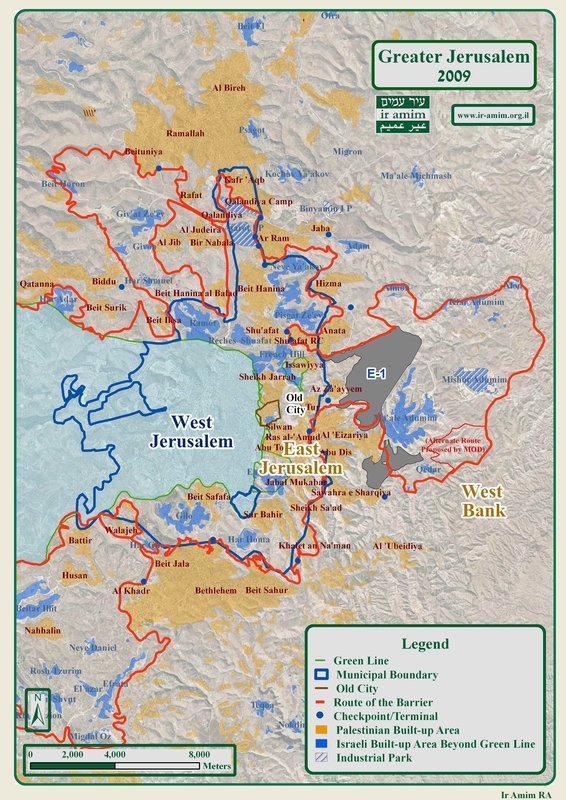 The Palestinian areas of “undivided Jerusalem” are known colloquially as “East Jerusalem,” even though some are not in fact east of the Jewish areas, and others weren’t even part of Jerusalem until Israel unceremoniously annexed outlying villages to the municipality and started expropriating land. Here are some more details about how the city was expanded (from Ir Amim, the Israeli-Palestinian Jerusalem advocacy group that’s perma-linked over to your right); some of this crazy-quilt insanity can be seen (if somewhat fuzzily) in the map to the right. Yesterday, the Association for Civil Rights in Israel (ACRI, analogous to the ACLU) released a new report: Ahead of Jerusalem Day: Police Treatment of Palestinians in East Jerusalem. Over the past two years, the personal safety of Palestinians residing in East Jerusalem has seen a serious and dangerous decline. Ahead of Jerusalem Day 2011, the Association for Civil Rights in Israel (ACRI) has published this report to document the severe conduct of the Israeli police in East Jerusalem and the harm it has caused to the city’s Palestinian population, and to demand a fundamental change. On Jerusalem Day, when the Israeli public is focused on the “unification of Jerusalem”, i.e. the conquering of its eastern neighborhoods and their annexation and integration into the nation’s capital, it is convenient to close our eyes to the true reality of the city – one of segregation, isolation and discrimination between its various population groups. The many events marking the anniversary of Jerusalem Day, some held in the heart of Palestinian residential neighborhoods, are totally alien to the city’s Palestinian residents, who make up one third of its population. … Considering the sorry state of things, the Jerusalem police must demonstrate responsibility and must amend its policies to bring about real, comprehensive and fundamental change. To do so, it must take several immediate steps, foremost to enforce the law reasonably, with fairness and consistency, taking into account the uniqueness of the Palestinian population and its special needs. It must find ways to bridge the current rift with East Jerusalem residents and it must take concrete steps to improve their personal security. It must immediately halt the illegal arrest of children. It must cease its “cautionary” investigations of social activists in East Jerusalem. And in general, it must conduct itself with required sensitivity given the complexity of the situation. But yeah.The city’s totally undivided. To read ACRI’s press release, click here; to read the whole report, click here. On undivided and eternal Jerusalem. UPDATE: Please also read this post, about the treatment of Palestinian Jerusalemites by Israel’s police. 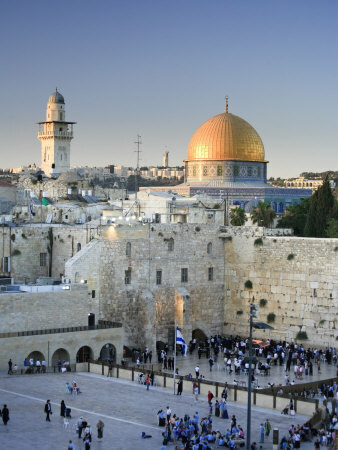 This week, Israel marks Jerusalem Day, a day intended as an annual celebration of the city’s 1967 reunification. In recognition of that day (which falls this year on June 1), I re-post the following, a piece I first wrote in August 2009. Every single word of it is either still true, or more true than it was at the time, as you’ll see from the one update I added to the text. Jerusalem is not undivided — rather: My country, Israel, continues to pursue a slow-motion ethnic cleansing, pushing out Palestinians, grabbing land, building settlements for Jewish settlers, and hitting back at any Israeli who might dare say different. This past Friday, Israel’s government once again proved just how divided Jerusalem is, when nonviolent anti-settlement protestors were greeted with brutality. You can read about those events here, here, and here. On Sunday [August 2, 2009], two Palestinian families found themselves out of luck and on the street: Israel had kicked them out of their East Jerusalem homes. A rocking horse here, a mattress there, scattered across the pavement. Fifty-three people – nineteen of them children – would have to find someplace else to sleep. The Israeli High Court has ruled that the land on which the families lived is Jewish-owned, and almost immediately after the eviction, Jews moved into the houses – homes in which, according to the BBC, the families had lived for 50 years. The Jerusalem municipality plans to build a Jewish-only apartment complex in the neighborhood, known as Sheikh Jarrah. When the subject of Israeli settlements comes up, East Jerusalem often gets a pass. Annexed by Israel within weeks of the 1967 war, settlement here is not called settlement, even as neighborhoods are bulldozed, turned into Jewish enclaves that even Israelis don’t realize sit on the Palestinian side of the border. Israel consistently, and constantly, refers to “unified” Jerusalem as its “undivided and eternal capital” – not, as international law would have it, occupied territory. As is often the case with national narratives, though, the Israeli vision of a reunified Jerusalem does not really jibe with reality. My Jewish, Jerusalemite husband was born in the undivided capital in 1969, and like virtually everyone he knows, spent his life never crossing the invisible border that every Jerusalemite sees clearly. Whenever I go to the East side, friends express concern for my mental health, and it can be very hard getting a cab. And this was true before the construction of the 25-foot, concrete wall that now snakes through unified Jerusalem, physically keeping Palestinians in their place. The falsehood of reunification lies not just in fear and walls, though. Every single Israeli government since 1967 has conducted a concerted, coordinated effort to Judacize the city, “encouraging” its de-Palestinianization. Jerusalem is not “unified” — it is undergoing a slow-moving ethnic cleansing. Israeli authors Bill Hutman, Amir Chesin, and Avi Melamed (the latter two former Arab affairs advisers to legendary Jerusalem mayor Teddy Kollek) detailed these efforts in 1999, in their seminal work Separate and Unequal, documenting the systematic expropriation of Palestinian land, limitation of Arab neighborhoods, and bureaucratic intransigence and neglect. This is not unity, nor even common decency. It is occupation, expropriation, and settlement. And when Israel signed the Bush-backed Road Map to Peace in 2003, agreeing to freeze settlement construction, East Jerusalem was included in the bargain. Whether or not Israel wants to admit it. The role Jerusalem plays in Jewish history and the Israeli national narrative is powerful and undeniable; moreover, Israelis aren’t the first people to establish their rights by rejecting those of others. But they are my people. And they are misleading themselves, the international community, and the United States government. Israel may not like admitting the truth, but that doesn’t keep it from being true: East Jerusalem is occupied, and the Jews who live there are settlers. If Israel truly wants to live in peace and security, it will have to stop cleansingJerusalem of its Palestinian inhabitants, and agree to share the city, as the rightful capital of both nations.